Good news! 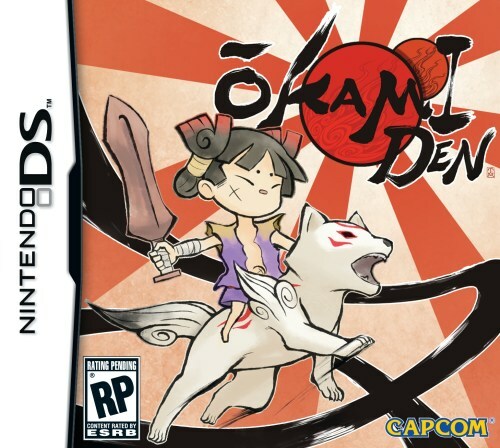 Okamiden, the whimsical Nintendo DS game that I looked at a few weeks ago, now has a release date: March 15, 2011. Capcom has teamed up with GameStop, meaning that if you buy (well, pre-order) the game at your local GameStop you’ll get some exclusive stuff. So what do you get? An honest question, yes. The first 20,000 people who pre-order the game get a stylus in the shape of a paintbrush, a “custom screen cleaner” that has artwork of the main wolf pup, Chibiterasu, and Kumi, the swordmen. Capcom also has a contest on its Facebook page where you can win, among other things, Chibiterasu plush dolls.